The logic underlying wins above replacement (WAR) is pretty simple. WAR tries to encapsulate the ways in which individual players contribute to their teams in a single statistic. For batters, there are different ways for a player to contribute. Some are great hitters, like J.D. Martinez or Paul Goldschmidt, but don’t offer much in terms of defense or baserunning. There are defensive stars like Kevin Kiermaier or Jose Iglesias who dazzle with the glove, but often cannot hit. Then there are the players who contribute in multiple ways like Mike Trout, Mookie Betts, Matt Chapman, and Jose Ramirez. Position player WAR incorporates baserunning, hitting, and fielding into a single framework. WAR isn’t a perfect stat, but it makes it possible to compare players with different skill sets. While there are many ways to generate a high WAR total, there are also many ways to get to zero WAR. From 1996-2017, 25 hitters who qualified for the batting title accumulated exactly zero FanGraphs WAR (fWAR). I decided to investigate just how these players did it. They ranged in age from 23 (Lastings Milledge in 2008) to 37 (Ichiro Suzuki in 2011). They played on World Series winning teams—Juan Encarnacion for the 2003 Marlins and Orlando Cabrera for the 2004 Red Sox—and forgettable ones—Steve Cox for the 2002 Devil Rays. Two players, Cabrera and Chris Gomez, were traded during their zero fWAR seasons. The majority of hitters on this list played positions on the challenging end of the defensive spectrum. There are 10 middle infielders and seven center fielders. Three players—Michael Bourn, Tony Womack, and Ichiro Suzuki – stole at least 40 bases. Matt Kemp hit 28 home runs in 2010 and fell one steal short of a 20-20 season. He and Bernie Williams posted a wRC+ over 100. Generating a zero fWAR season rests on two factors: poor individual performance and a team willing to pencil you into the lineup every day. Some teams, in the midst of a poor season or a significant financial commitment, had no other choice. Others likely wanted to give players a chance to play because they were highly regarded prospects or had previously been productive major leaguers. Being a young, top-rated prospect is a great way to get yourself some guaranteed playing time—even if it means that your career is essentially finished by season’s end. Milledge and Hermida were both highly touted outfield prospects. They were both first round picks: Hermida 11th overall in 2002 and Milledge 13th overall in 2003. In 2006, Baseball America ranked Hermida and Milledge as the fourth and ninth best prospects in baseball. The Marlins and Mets hoped that Hermida and Milledge would anchor their lineups for years to come. Instead, they were both out of the majors by 2012. Milledge reached the big leagues in 2006 at the age of 21. Over the next two seasons, he generated -0.5 fWAR and the Mets traded him to the Nationals before the 2008 season. Given the opportunity to play full time, Milledge disappointed in every way. He was a mess in center field, garnering a -16.8 UZR in 1,185.2 innings. He never learned to take a walk or hit for consistent contact. In 2009, the Nationals shipped Milledge to the Pirates. He played for the White Sox for two games in 2011 before spending four seasons in Japan with the Tokyo Yakult Swallows. Hermida established himself as the Marlins’ starting right fielder in 2007, after spending parts of 2005 and 2006 with the big league club. In 2007, Hermida hit .296/.369/.501 with 18 home runs and 32 doubles, good for a 125 wRC+ and 2.2 fWAR. In 2008, Hermida was a disaster. He couldn’t stop striking out or chasing pitches outside the strike zone. His O-Swing percentage jumped from 21.7 percent to 27.5 percent. As a result, his BABIP shrank from .353 to .310 and his power and on-base skills evaporated. In 2009, Hermida again posted a zero fWAR in 291 plate appearances. In November 2009, the Marlins traded Hermida to the Red Sox for a pair of minor league pitchers. He was out of the majors by age 28. Players like Cano, Bourn, Kemp, and Castro were successful big leaguers prior to their zero fWAR seasons, which no doubt inspired their teams to stick with them during their disastrous seasons. Some got further chances with the teams that saw them at their worst; others had to find redemption elsewhere. After acquiring Bourn from the Phillies, Houston made him its leadoff hitter in 2008. But Bourn struggled mightily, hitting .229/.288/.378 with a 58 wRC+. He struck out in 21.6 percent of his plate appearances and lacking any power—he only had 19 extra base hits in 467 plate appearances—he generated 381 outs in only 514 plate appearances. The Astros stuck with Bourn and their patience paid off. Over the next four seasons he averaged 4.6 fWAR while combining excellent center field defense with average hitting. From 2005-2007, Cano accumulated 7.3 fWAR while playing second base for the Yankees. In the first half of the 2008 season, Cano hit .246/.285/.358 with a 67 wRC+. He had an especially difficult April, during which he hit .151/.211/.236. Cano rewarded the Yankees for their patience as he improved as the season went along. In the second half, he hit .307/.333/.482 with a 113 wRC+. In 2009, Cano returned to his pre-2008 form, hitting .320/.352/.520 with a 124 wRC+, good for 3.6 fWAR. Since then, Cano has produced a staggering 47.3 fWAR for the Yankees and Mariners on his way to Cooperstown. In 2009, Kemp had the best season of his young career. He hit .290/.340/.459 with a 123 wRC+. He also struck out in 20.8 percent of his plate appearances. Defensively, he posted a 3.1 UZR and had a fWAR of 4.9. 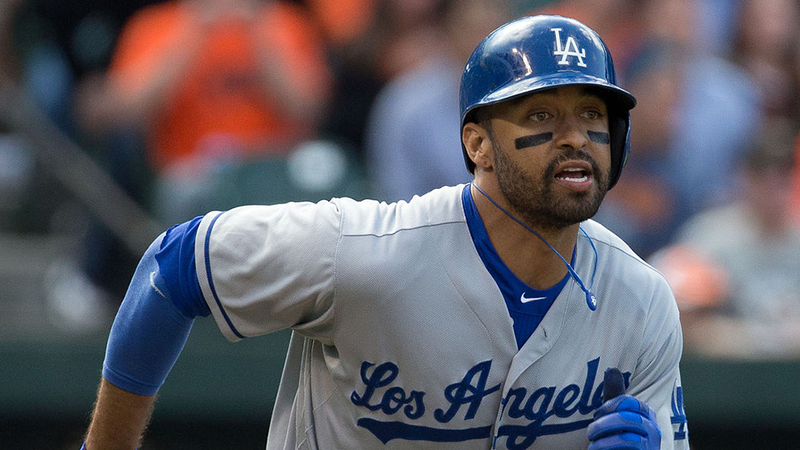 In 2010, Kemp’s defense collapsed and his strikeout rate climbed even higher. His 28 home runs barely kept his batting line afloat as his BABIP fell from .345 to .295. In 1,346 innings in center field, Kemp was worth -25.7 UZR. For his career, through 6,927.1 innings in center field, Kemp has generated -48.0 UZR and has been worth -98.0 UZR across all three outfield positions. Yet the Dodgers had few other options. In 2011, Kemp rewarded their patience with an MVP caliber season where he generated 8.3 fWAR and hit 39 home runs. His 2018 has been a delightful surprise. Signed as an amateur free agent at 16, Castro moved quickly through the Cubs farm system. In 2010, Baseball America ranked Castro as the 16th best prospect in baseball. From 2010-2012, he improved his fWAR totals from 1.8 to 2.8 to 3.8. In 2013, Castro’s strikeout rate rose from 14.5 percent to 18.3 percent and his walk rate fell from 5.2 percent to 4.3 percent. He made an astonishing 532 outs, tied for 11th most all-time. He later blamed his .245/.284/.347 batting line on adjustments recommended by manager Dale Sveum and the Cubs front office. Castro, who had signed a lengthy extension, bounced back in 2014, but the Cubs, with Addison Russell and Javier Baez waiting in the wings, traded him to the Yankees in 2015. We can understand why the players we’ve looked at so far got significant playing time. They were highly regarded prospects or players who had proven themselves as effective major leaguers. This next group is filled with light-hitting players known more for their defense than anything else. For some players, like Rey Ordonez, that defensive reputation was well-earned. He won three Gold Gloves from 1997-1999. Warren Morris had a brief and anonymous career as a defensively competent middle infielder. The other middle infielders on this list offered positional versatility, but little else. Chris Gomez played all four infield positions over his career, but none of them very well. Tony Womack played shortstop, second base, and all three outfield positions. He also stole 363 bases. Think of him as a precursor to Ben Zobrist, only without the patience, power, or defensive prowess. Then there’s Desi Relaford, languishing in obscurity for the mid-2000s Royals teams. In 2003, pitchers Chris George, Jeremy Affeldt, and Jose Lima all had higher offensive fWAR. After the Diamondbacks acquired Danny Bautista in 2000, manager Buck Showalter said of him, “He’s an above-average defender at all three outfield positions.” That offseason Arizona fired Showalter and replaced him with Bob Brenly. Logan Morrison and Steve Cox almost deserve their own special category. At least players like Ordonez, Womack, and Gomez played difficult defensive positions, justifying their poor hitting. Cox and Morrison had no such excuses. Cox played 148 games for the 2002 Devil Rays, who went 55-106. Morrison parlayed years of mediocrity with the Marlins into a starting gig for the Mariners in 2015. The highlight of the 2015 season for the Mariners was the firing of general manager Jack Zduriencik. A small group of players produced zero fWAR seasons in the middle of productive careers. Bret Boone had played parts of four unremarkable seasons for the Mariners and Reds from 1992-1995. His 1996 zero fWAR season was similar to the other seasons we’ve examined so far—spiking strikeout rate, declining walk rate, and little power. Boone was worse in 1997, posting a -1.0 fWAR before alternating positive and negative fWARs over the next four years. During a three year stretch from 2001-2003 with the Mariners, Boone generated 19.1 fWAR and a batting line of .301/.359/.526 with 96 home runs and a 135 wRC+. Cabrera’s 2004 is remarkable for multiple reasons. He produced a .246/.298/.336 batting line with Montreal, yet the analytically inclined Red Sox traded for him to replace the declining and disgruntled Nomar Garciapara. Garciapara had once been a contributor on offense and defense, but in 2004, as Christina Kahrl wrote in Mind Game, he “had changed from indispensable star into an albatross who might just prevent them [the Red Sox] from reaching the postseason.” In his time in Boston, Cabrera proved capable enough with the bat with a .294/.320/.465 batting line and 97 wRC+. Ultimately, Cabrera produced 14.3 of his career 24.6 fWAR after 2004, though not for the Red Sox. That offseason Boston signed Edgar Renteria to fill the vacancy at shortstop. In his first six seasons in Chicago, Ramirez hit .303/.368/.511. His 2010 season was a story of two halves. From the beginning of the season until May 31, Ramirez hit .162/.227/.269 with a 28 wRC+. From June 1 onward, he hit .285/.332/.554 with a 132 wRC+. Ramirez was never much of a defender at third base and in 2010 he produced a -7.4 UZR. He produced 13 fWAR after 2010, just over a third of his 38.7 career total. When players enter their decline phase has long been a matter of research and debate in sabermetric circles. Yet we know that age-related decline comes for everyone, though at different times. Often those declines come in the beginning or middle of large contracts. In 2002, Hammonds was in the second year of a three-year, $21.75 million contract. In 2015, Cabrera had signed a three year $42 million contract with the White Sox. Upton Jr. was in the second year of a five year, $75.2 million contract with the Braves. These once productive players quickly became financial burdens on their teams. By 2011, Ichiro’s bat and defense had begun to decline. The slap-happy hitter, who never walked much or hit for much power, couldn’t put the ball in play anymore. The 2011 Mariners, who went 67-95, had no reason to bench Ichiro. Even at age 37, he still outproduced Chone Figgins and Jack Cust. These were the early days of the Zduriencik era and the Mariners were in the midst of a long stretch of mediocrity. They finished below .500 in each season from 2010-2013. Bernie Williams began his long march towards irrelevance in 2003. The Yankees franchise legend displayed a remarkable consistency from 1997-2002. He posted fWAR totals of 5.1, 4.9, 4.9, 4.9, 4.8, and 4.9. In 2003, Williams, blessed with a discerning eye, remained above average at the plate, producing a 108 wRC+. His defense, however, grew steadily worse. We have UZR data going back only to 2002, but the data we do have are a nightmare. In 16,662.2 innings, Williams generated -111.2 UZR. God knows how many runs he cost the Yankees prior to 2002. After his zero fWAR season in 2003, Williams never sniffed competency again. He played for three more full seasons, costing the Yankees -3.7 fWAR. Zero WAR seasons can afflict players at different stages of their careers. They can affect the great players and anonymous ones. Some players bounce back, others don’t. Ultimately, they share one thing in common. Players and fans alike would rather forget them. At least that was where he was headed, before he decided to take a sharp left to Needlestown. This year, he hasn’t as much, but in general yes, I agree with you. Do we know if any of these players were trying to play through injuries? I would think that would be a key cause of these sorts of seasons when a player tries to play through the hurt to his detriment. It needs to be part of the Bret Boone narrative that he was juicing during those 3 big years. A mediocre 32 year old suddenly starts hitting like a HOFer. stops juicing and sinks without a trace. Let’s remember the whole truth. Forgot how bad Bernie was in CF when he started to age. Never great, but the speed slipped and it got a bit ugly. Imagine if Jordy Mercer turned into prime Manny Machado for the next three seasons, and then turned back into 35-year-old Jordy Mercer. That’s basically Bret Boone. I always am more mystified by guys that qualify for the batting title while putting up very negative fWAR. Like greater than -1. How their managers/teams don’t just bench them or platoon them is amazing. It’s wrong. 491 PA is right. WAR is terrific for comparing, e.g., Mike Trout and Mike Schmidt. But when a player is close to replacement level, there’s a problem For instance a 0 WAR player who plays 150 games has the same “value” according to WAR as a player who plays 1 game. Or the same WAR as me who never played at all. So there needs to be a different way of measuring this.